Start your week in Klein with great news! 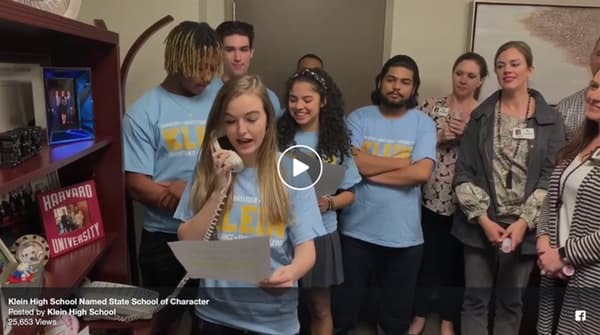 Character.org, a national advocate and leader for character in communities including schools, districts, families, workplaces, and sports, today designated Klein High School a State Schools of Character for 2019. Klein High, the only high school in Texas to receive the honor this year, has been on the road to this award since the fall of 2016 when the #Klein5 core values were introduced. The #Klein5 core values of gratitude, integrity, empathy, perseverance, and service have guided everything at Klein High over the past few years. 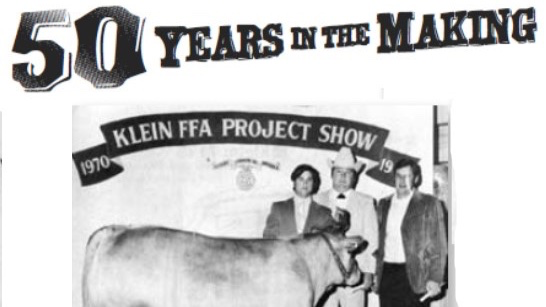 We are celebrating the 50th Anniversary of the Klein ISD FFA Livestock and Project Show. Join us for a celebration Feb. 6 at 6:00 pm & ending with a live auction on Feb. 9 at 1:30 pm. 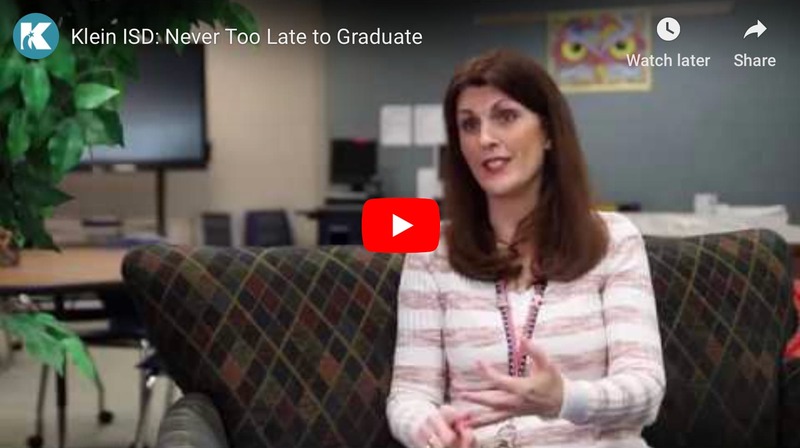 The Texas Education Agency has a new program for any former student who entered 9th grade before the 2011-12 school year & did not graduate due to failing the TAKS, TAAS, or TEAMS test. 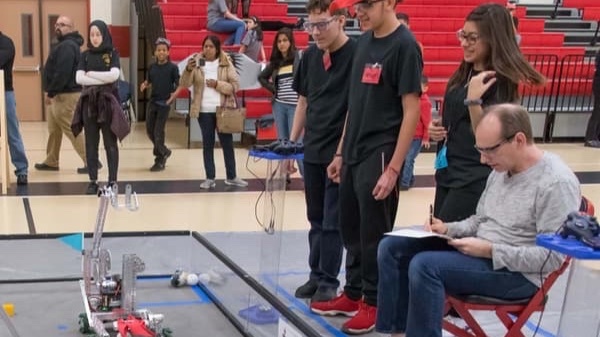 The KI 2019 FIRST® Tech Challenge robotics team #10963 “The KI Falcons” placed first in the Southeast Texas Tech Challenge. 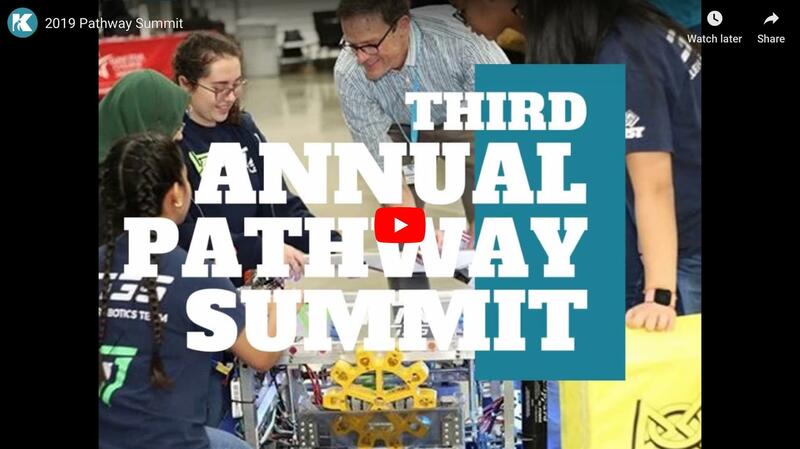 Our third annual Pathway Summit was a huge success. Check out this video and article for a quick recap on the day's events. February is Black History month, and throughout the month we’ll honor the incredible achievements of African Americans in our nation’s history. 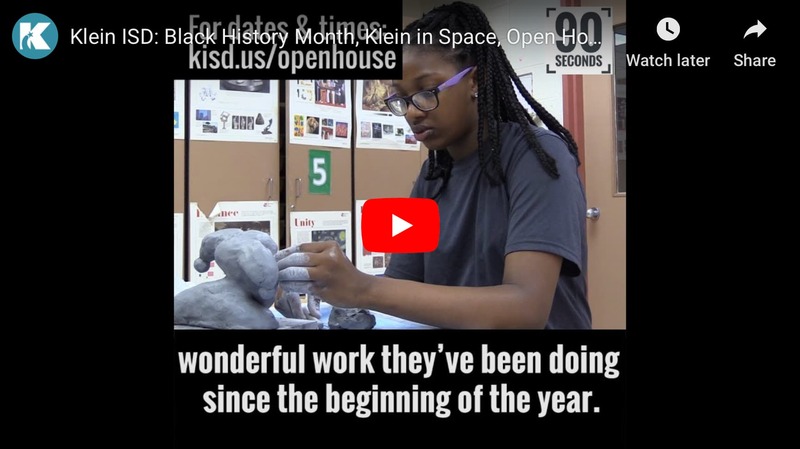 We’ll share articles written by our educators, host “book talks” on Twitter celebrating our community’s rich cultural diversity, and enjoy lessons and programs on campuses throughout Klein ISD highlighting the many contributions and sacrifices made for all. 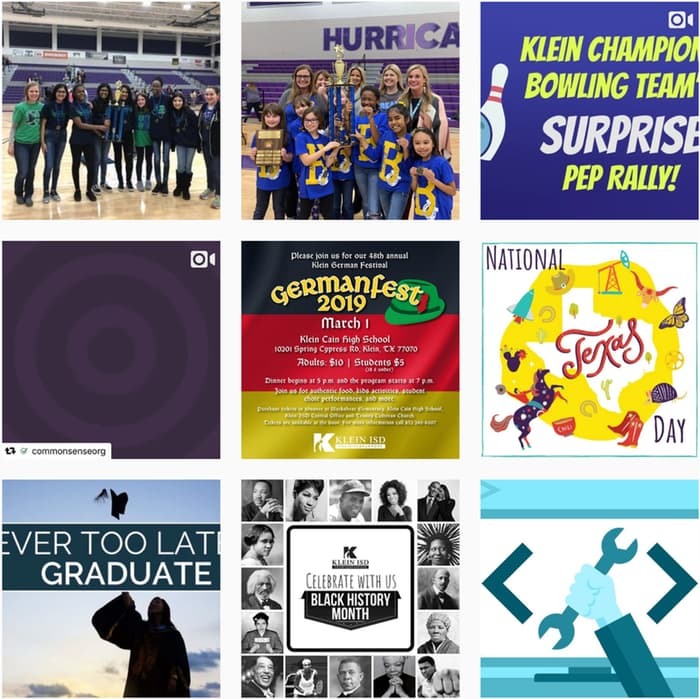 Stay up-to-date with current activities and future events by following us on your favorite social media channels.